At ProGreen Outdoor Solutions, we believe that landscaping is an extension of the environment in which we work or live, and should be more than just plants and hardscape. ProGreen has built a reputation for providing innovative and high quality landscape services while guaranteeing the highest value. 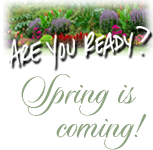 Let us help you create and maintain a great looking landscape that will enhance your image and your property value.